When will public health authorities realise the inconsistency in their sugar advice? The Sunday Times managed to get exclusive advance access to a confidential World Health Organisation (WHO) report, which was set to recommend that “free sugars” should comprise no more than 5% of total energy intake (see the March post that we can’t eat less sugar and more carbohydrate). This was the first look at the new WHO guidelines. The 2 day diet. January being diet month, fasting and different fasting options were in the news. The evidence, or otherwise, for these is interesting. The every other day diet (Alternate day fasting). Dr Krista Varady was in the UK promoting a book on every other day fasting. There were some interesting media questions and answers about the evidence for such diets. My prescription for the obesity epidemic. The UK National Obesity Forum published recommendations on obesity, so I took a look at them. Fancy swallowing a gastric balloon? The claims vs. the evidence for gastric balloons – a new form of bariatric intervention. Horizon: Sugar vs. Fat. 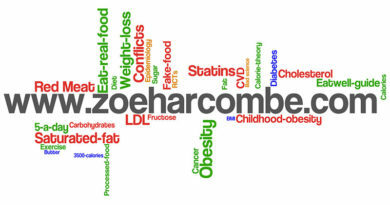 The BBC Horizon programme on Wednesday 29th January 2014, was billed as a unique experiment to test whether or not sugar or fat is worse for us. Arguably the original experiment was best – real food vs. processed food. High fat vs. high carb. How we used to eat vs. how we eat now. It had all the right ingredients, but it sadly didn’t deliver. Low-fat dairy foods & diabetes risk. A study in the journal Diabetologia was published claiming that low-fat dairy products could cut diabetes risk. The headlines turned out to be unjustified. The Pill, Sugar and Scary Headlines. An article claimed that women who take particular brands of the pill – newer ‘third generation’ pills – are at double the risk of blood clots relative to women taking other versions of the pill. I took a look at the evidence. NICE issues new guidelines on statins (OR Statins in the drinking water?!) The CHEST (LDL-cholesterol) study, the National Institute for Health and Care Excellence guidelines, conflicts of interest – there’s lots in this post. What do cholesterol lowering products tell us about cholesterol lowering? This was the first article I wrote about plant sterols – the replacement of human cholesterol with plant cholesterol in effect. I explain the impact that plant sterols have on cholesterol, but how this may not be good for real health outcomes. What do dog and ‘human’ food have in common? Unfortunately fake food is big business in the pet food world, as well as in the human world. Animal protein as bad as smoking?! An article grabbed the headline with the claim that consuming protein from animal sources was as unhealthy as smoking. That was not what the evidence showed. Animal protein as bad as smoking? Headlines based on 6 deaths! This article was a follow-up to the one above. With a bit more digging I found that the claim was based on just 6 deaths! We cannot eat less sugar and more carbohydrate. In this post I reviewed the World Health Organisation announcement about ideal sugar intakes and put this in the context of advice to “base our meals on starchy foods”, which essentially break down into sugar. Saturated fat has naff all to do with heart disease. This post was about the Chowdhury meta-analysis published in March 2014, which concluded that trans fats were the only fats associated with heart disease. Welsh inquiry into childhood obesity. Submissions were invited for an inquiry into childhood obesity in Wales. This post was about my submission to the inquiry. What the UK eats (2012). I first did this analysis in my 2010 obesity epidemic book. I update it every couple of years when the latest Family Food Survey is published. It reports what the UK eats in great detail, as well as the nutrient deficiencies our diet has produced. Seven a day fruit and veg? On April Fool’s Day, a study was published saying we need to eat seven-a-day, not five. I ended up on Sky News (TV) and Radio 4 drive time discussing this paper. The perfect five-a-day? If ‘five-a-day’ weren’t a myth, what would the ideal ‘five-a-day’ be? The five-a-day con. This post includes the article I wrote for the Mirror newspaper (see seven a day above). ‘Healthy whole grains’ – really?! This is one of my most referenced and read posts – when people tell you that you need to eat your ‘healthy whole grains’, these are the facts to share. American childhood obesity – what’s going on? A study said “there was no significant change…in obesity”. The headlines said “obesity rates plummet.” Why the discrepancy? Removing cola from the eatbadly plate does not make it eatwell! Public Health England issued new ‘healthy’ eating guidelines. The eatbadly plate became the eatbadly guide. What changed and did it make any difference? Coffee helps beat diabetes? Really? How? A study had been done claiming that coffee could reduce the risk of type 2 diabetes. I took a look at the study and possible plausible mechanisms. Horizon: Sugar vs. Fat – Follow-up. It took a lot of chasing to get a reply from the BBC Horizon programme – it wasn’t exactly worth waiting for when it came through! Heart disease – the facts. Why do I know hardly anyone who has died from heart disease? Why do you probably also know very few? What are the real facts about death rates (as opposed to the “one in three” that we are told)? What are the real risk factors for heart disease? Which can we sadly do little about? The contempt that NICE has for conflicts of interest. This post contains three letters. One from me to the chief executive for the UK National Institute for Care and Health Excellence; the reply from NICE and then my follow-up. It’s not about statins – it’s about censorship. What happened when an Australian TV programme dared to suggest that statins may not be the best thing since slice bread and what happened to two doctors who referenced a paper on statin side effects in their own peer-reviewed papers? Replacing, not lowering, cholesterol would be more accurate. What exactly happens if you try to lower cholesterol with diet? Is this a good idea? Was it national obesity week last week? 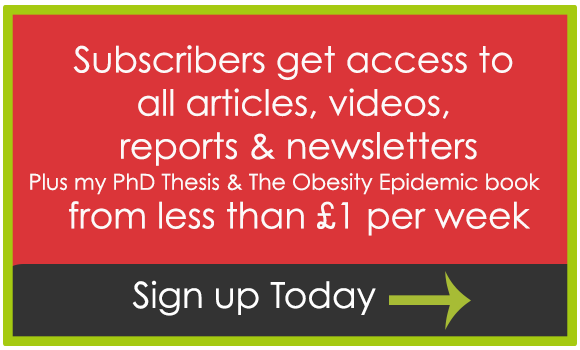 There were three obesity stories in the news in one week, so I took at look at all three. The calorie theory – prove it or lose it. This is one of the most visited posts on my site. There’s a belief that 1lb = 3,500 calories and that a deficit of 3,500 calories will lead to the loss of 1lb of body fat. Where does this come from? What’s the evidence for it? Is a 15 stone 11-year-old child abuse? The title should explain what this post is about. Doctors tell NICE you’re not independent & you’re not evidence based. This is a post about an open letter that was sent by a group of doctors and academics to the UK National Institute for Care and Health Excellence (NICE) and the Health Secretary, Jeremy Hunt. What prompted them to write this letter? What was the reply? Diabetes, Cholesterol, BP: Normal is no longer normal. This is one of my favourite go-to posts for when people mention “normal” in relation to medical measurements. What is genuinely normal? What does the medical professional deem as normal? Why the difference? Are you worrying about something unnecessarily? SACN report back on carbohydrates and health. 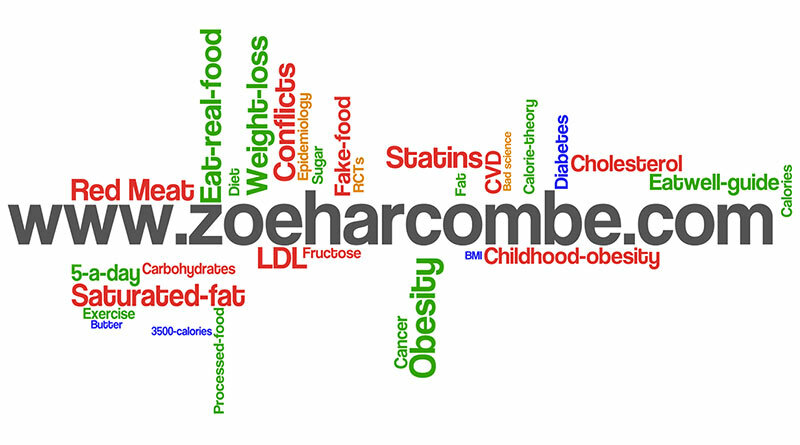 What was the remit for the UK’s Scientific Advisory Committee on carbohydrates and health? What were their terms of reference? What were their limiting beliefs? What were their conflicts? What were their recommendations? Food companies don’t want you to know how much sugar is added. The Washington post wrote about the issue that was the subject of this note. Their summary was “the Food & Drug administration (FDA) battle you probably don’t know about, but should.” Sugar, added sugar, food labels and fake food seemingly content to baffle the public. NICE has ended any debate about its independence. 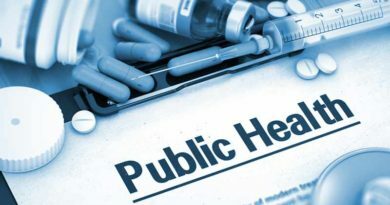 The UK National Institute for Health and Care Excellence is supposed to be the independent body that sets UK health guidelines – what to prescribe, to whom and in what circumstances. This post was about new guidelines for giving statins to lots more people. I uncovered the conflicts with the panel that set the lucrative new policy. 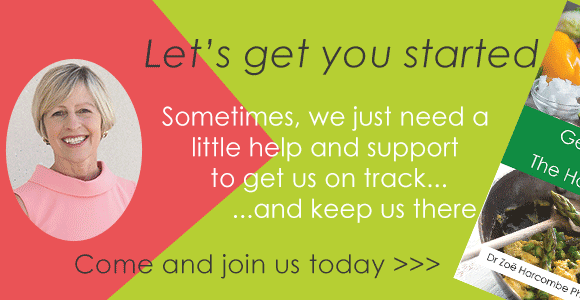 Obesity, disability & employment law. This was the first that we heard of an employment law case that went on to set European discrimination guidelines for obesity as a disability. The difficulty of being a parent in a sugar pushing world. A personal story about a family event where a five year old returned from a party with more sugar than would be good for any human being. Is there anything that parents can do in our junk-filled world? Weight loss correlates with low carb, not low calorie. This was a piece of research that I did for my 2010 obesity book. I reviewed a paper which in turn looked at 17 isocaloric (same number of calories) trials of weight loss with different macronutrient (carb/fat/protein) proportions. The paper concluded that “Caloric balance (calories in vs. calories out), rather than macro nutrient composition is the major determinant of weight loss.” The evidence did not support this conclusion. Five a day is enough? Enough of the myth anyway. This post is about a meta-analysis that seemed to be trying to post rationalise the five a day myth. Good luck with that one! CTSU funding from drug companies. This is a post about the conflicts of interest with the Oxford statin group – the Clinical Trial Service Unit. This is the group from which the statin meta-analyses emanate. These statin meta-analyses are used to inform public health policy and prescription guidelines. The CTSU won’t release the original data so that people like me can analyse it independently. They also refuse to share full details for Serious Adverse Events. Apparently their commitments to the drug companies get in the way of this transparency. I had previously done some digging to show that the funding behind these conflicts amounted to £115 million! In this post I explain that I was wrong – the funding, in fact, is closer to £268 million! Aspirin & a new drug game being played. Headlines about taking aspirin for bowel and stomach cancer may have had an underlying agenda. Dieting & depression. A population study observed that people who had lost weight had a far greater increase in reported depression than people who maintained weight or even people who gained weight over the duration of the study. This was really interesting to explore. 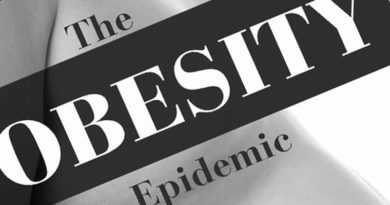 Cancer & obesity – the real story. This study examined a database with information about weight, weight gain and cancer diagnosis. I reviewed what the study said and what the study should have said. New standards for hospital food, but will they make any difference? What recommendations were being made in relation to hospital food in UK National Health Service hospitals. What was driving change? What evidence lay behind recommendations? Two peaches lower the risk of breast cancer by 41%? Puh-lease! This was another publication from the Harvard epidemiology factory. We were being encouraged to believe that women who ate two servings of peaches per week had a 41% lower risk of breast cancer over the next 24 years. Seriously! The low-carb vs low-fat study. This was a review of an interesting randomised controlled trial involving 148 people assigned to a low-carb or a low-fat diet. The low-carb diet, for once, was actually designed to be a genuinely low-carb diet, but the participants didn’t manage to stick to the plan. Fat shaming makes people eat more – really?! This was a bizarre study, which attracted media interest. Nearly 3,000 people were asked about perceived weight discrimination and associations were then made with this and weight. The findings made headlines, the absolute numbers were not even worth a bothering about. Scotland – the health of the nation. This post was written just after the Scotland referendum on independence. Following the vote to stay as part of the UK, I looked at the life expectancy and health data for Scotland compared to the other UK nations: England, Wales and Northern Ireland. The Harcombe Conference: 3 from 3. Having just returned from our third Harcombe Diet conference in Birmingham, I shared the key messages from my talk and that of a motivational speaker (Kevin Downey) and Dr John Briffa. An underhand stunt revealed a pharma funded web. I received an email about a survey in the world of cardiovascular disease and it led to some digging that led to quite a web of conflicts of interest in the world where statins are gold-mines. 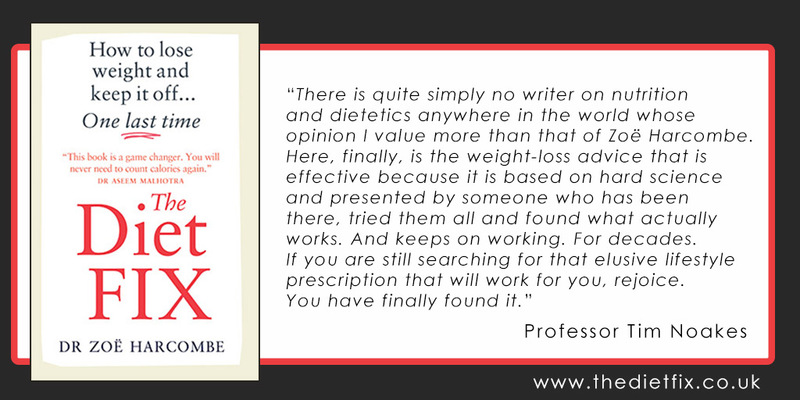 Low carb high fat (LCHF) is an outcome, not a choice. This post shared details of a conclusion I came to while preparing for the Feb 2015 low carb conference in Cape Town, South Africa. Trust me I’m a Doctor – not on nutrition. The well known BBC health investigation programme did an experiment based on resistant starch – trying to find a way to make starch better for human consumption. Don’t bother! NHS England: CEO Simon Stevens is right and wrong. A new CEO was appointed to the English National Health Service and he set out his five year vision for his tenure. There were some good initiatives and some not so helpful beliefs. Alcohol, calories, labels and disingenuity. The Royal Society for Public Health called for calories to be put on alcohol labels. I explained why this would not be a smart idea. Alcohol and health. Following up on last week’s note, this post was a guest article from Tony Edwards. Tony has spent many years researching the evidence related to alcohol and health. His findings show that the evidence is far more nuanced than public health guidelines suggest. Norway, LCHF and the doctor-patient relationship. My experience of speaking at an LCHF conference in Norway and the experiences shared with me by some delegates. The ASA & trolls working together to censor progressive thinking. If you were under the illusion that the UK ‘Advertising Standards Authority’ is an official body, this post should be of interest. Academic studies questioning current dietary advice. As the title suggests, this is a list of academic studies (peer-reviewed) that have challenged the low fat high carb dietary guidelines. Please add a comment if any have been missed and I’ll update the list – thank you! NICE, gastric bands and yet more conflicts of interest. NICE is the UK National Institute for Care and Health Excellence. It is supposed to be the independent body in the UK that evaluates evidence to set UK guidelines. I shared the conflicts among the committee members who came up with recommendations that more people should receive barbaric surgery. Now the 9 to 5 diet? A Californian study on mice concluded that we should eat within an 8 hour window. There was an even more interesting finding. Mass medication and the real choice to be made. A UK publication reported that approximately 50% of citizens are taking some medications – which and why? The European ruling on obesity and discrimination. An employment law case in Denmark, brought to court by a childminder, established the precedent for European case law on obesity and discrimination in the workplace.